So far you are successfully running a blog. When you listen to others advises that your blog should be designed like this or like that, you always think of blog re-design either temporarily or permanently. 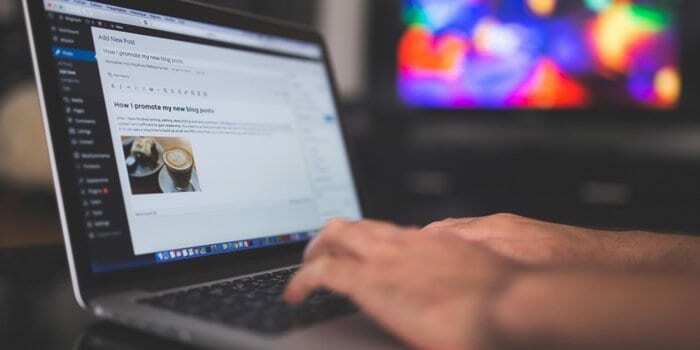 You are new to blogging or you want to re-design your existing blog, you have to place these words in your mind when you gotta change the design of your blog. If you are running a WordPress or Joomla site, you might have seen many premium themes. Those premium theme companies always say you that you blog re-design or designing your blog for the first time is more important than your content. You can observe many famous blogs with free themes with a great content. So whatever the design of your blog never matters. Make sure you got perfect navigation menu and that’s enough. If your site produces quality viral content, the design of your blog is just simple. Some themes or designs offer two or more columns. So that the number of posts appears on the homepage is more. So that a visitor can easily understand the niche of the blog and the type of posts he is watching. With one single column and placing ads on the right sidebar makes a visitor think of that your site is full of ads and there is a chance of getting away from your blog permanently. So a site with 2 to 3 columns will be more attractive than a single column. A single column is best suitable for Blogger. Your navigation menu should be easily trackable. Cheesy fonts give an unpleasant feeling. In WordPress, you can install Google Fonts plugin. Rich text format gives the best impression. Your header must be in pleasant text. Don’t make the first impression worst from the reads. Some themes give you a combination of colors for the entire site. Colors for headings and post titles should be viewable perfectly. So many colors in a single post mislead a reader that he will get into the confusion that whether he is reading the post or watching some text ads. Even if you place some text-ads, make sure those ads are mingled with the colors of the post title and Headings. Logo plays an important role in blog branding. Your blog should have a logo and that should be unique from other similar niches. You might have seen many of the blogs give a pop-up so that you can subscribe to the newsletter, or subscribe for new posts etc. Some of those pop-ups are richly designed graphics. Those will affect page loading. If page loads slower definitely it affects the patience of your visitors. Some sites might have rich designs but their page loading is like a rocket. So make sure your on-page tools help you in loading page faster. Take suggestions from the readers. People who read a post might be more intelligent than who actually wrote. Some may give advice; some may review your post. Whatever it is, you should interact with the readers with an effective commenting section. Author Bio. :- James Tredwell is a Technical SEO Hopinfirst.com – is a leading mobile app development company which provide best ios app development and Android app development Services.